The 24-year-old rifle shooter won silver medals at the ISSF World Cup, Commonwealth Games and the World Championships to earn a 2020 Olympics quota place. Maybe it is her Masters in Sports Psychology or maybe the fact that in the last couple of years, she has seen how roller-coaster the life of an Indian sportsperson can be, but Anjum Moudgil is perceptive and articulate about what she does. She is pragmatic when talking about pressure that got to her as she is talking about her chances after earning an Olympic quota place. She is candid when talking about the competition from the high-flying batch of young shooters and regales you with anecdotes, both insightful and funny. But most importantly, she is self-assured, and that reflects in her conversation as much as it does in the manner she has quietly gone on to make her own space in the galaxy of shooting stars in India. The 24-year-old won silver in 50m Rifle 3 Positions at the first ISSF World Cup of the year in Mexico and the Commonwealth Games in Gold Coast as well as in 10m air rifle at ISSF Shooting World Championships in Changwon which also sealed an Olympic quota. But she capped it with gold – making a clean sweep of all rifle events at the shooting nationals in Thiruananatpuram. “Last year around this time we started planning for this year with CWG, Asian Games and World Championship in mind… we worked to peak at the right time. 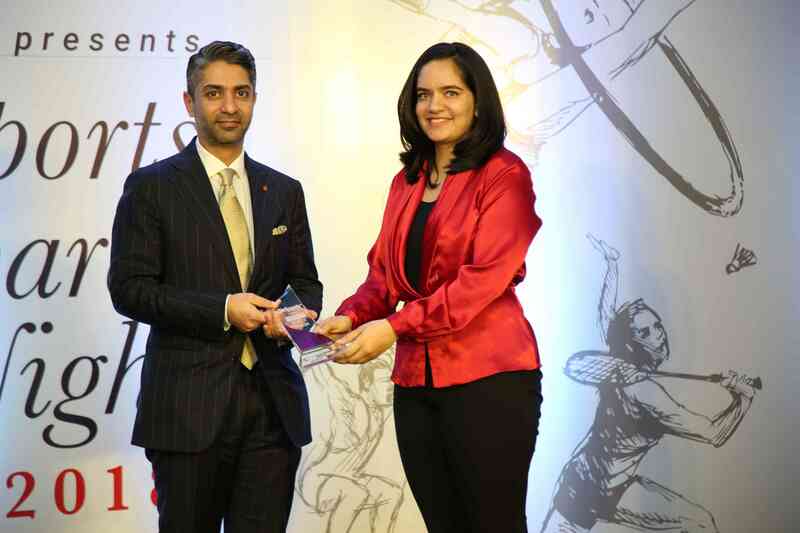 It was all properly planned by my coach [Deepali Deshpande],” she told Scroll.in in an interaction after she received the GoSports Athlete of the Year Award in Olympic Sports from Abhinav Bindra. Anjum Moudgil won the GoSports Athlete of the Year Award in the Olympic Sports. “The Mexico silver was not expected, because at that time I was not considering myself a medallist and the rules had also changed [increase in number of shots for women to make it equal.] That medal gave me the confidence that I can be among the top in the world. “We worked hard for the CWG, which was my first Games. I had a bad match in prone and I knew I had to do good the next day to prove myself. I think that 3P match is the most focused I have been in my life,” the youngster from Punjab said with a laugh. 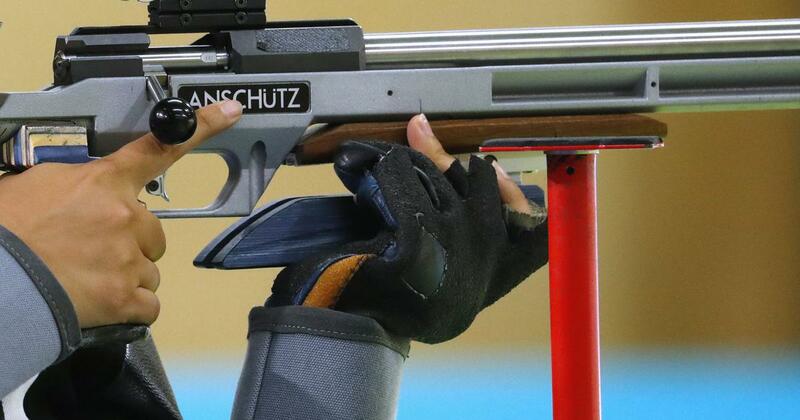 In Munich I really wanted to shoot a good score – I love shooting in qualification – I just wanted to break the barrier of 1170 and I was able to equal the world record . To be honest, I didn’t know that I would be a world record holder if I only equal it, I thought I had to beat it. But when I came to know it was the record, I was so happy I think I didn’t push enough in the final,” she recounted. And that was where she hit a dip. At the Asian Games she finished ninth in the qualification, missing on the final. “Ninth really irritates, it’s like coming fourth and missing a medal!” But it was not because of her shooting alone, but because of a brief mental block called pressure. “The expectations from these Games is too much in India and I was experiencing it the first time. I experienced the high you get when you win a CWG medal so that was there in my head at the Asian Games. It is my mistake that I let the pressure of expectation affect my mind and I accept that. That day I decided that I will not let people telling me I need to win affect me anymore and that helped me in the world championship,” she said. It didn’t, as she became the only Indian to win a medal and an Olympic quota at the ISSF World Championship at Changwon, in 10m air rifle which is possibly the most competitive shooting category in India today. Apurvi Chandela won India’s second quota in the same event after finishing fourth. But the story here is not only of her silvers or missed chances, but of how she has shown her range across rifle events – air, prone and 3P. “Many people ask me if I would consider focusing on only one event. But I don’t do it to get selected in the team or win medals, I do it because I like participating in more than one event. It makes me feel different, that’s why I started shooting in the first place. In school I took it up because I wanted to be different from the people who just study. “Balancing is not a problem for me, participating in more than one event gives me more confidence actually,” she said. Similarly, she is unperturbed about competition and selection, especially given the policy that means that the Tokyo quota place she won might not belong to her; it will be given to whoever is on the top in 2020. 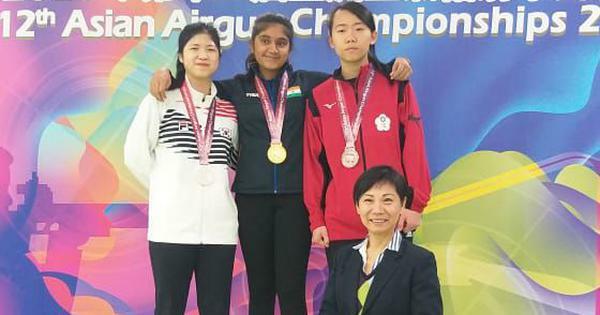 She also has a lot of respect – and slight envy – for her competitors, especially the junior shooters who are taking Indian shooting by storm. “Every junior I see is shooting so nicely and there is so much to learn from them. I also feel I have grown up so soon, a few years ago I was so young in the team and now you are “didi”,” she laughed. But perhaps her best answer is when asked the inevitable question about her goals for the coming year. It is the perfect insight into how she approaches her sport: with passion backed by hard work but never all-consuming hunger. “For me goals are not based on competitions or medals, they are very short term. “When I started shooting, I didn’t know Olympics kya hota hain. I knew Abhinav Bindra won gold, but I didn’t know what competition it was. But eventually I learned more and the first thing I wanted was an India T-shirt. When I got my first kit, I turned it to see if India is written. In 2014, I wanted to be the national champion in juniors because that was my last year in juniors. “Earlier when I shot the final, I didn’t want to be the first to be eliminated. Now I know I have prepared so well, I am confident. I don’t know when that mindset changed but I could feel it in my results as well. “Everyone is working for the Olympic gold but I cannot win that with something I was two years back. I am mature enough now to know what I am capable of. I cannot get a gold directly, I have to prepare a lot more. My results make me confident but there is a lot more work to be done,” she concluded. If right attitude makes champions, then Moudgil is all but there.